Overview: A unique, structured and ongoing workshop opportunity to overcome resistance and become the best artist and photographer you can be, under the guidance of one of today’s premier working photographers and bestselling author Harold Davis. Click here for information and online registration for the Achieving Your Potential as a Digital Photographer workshop. What: This workshop presents a unique opportunity for mentoring by Harold Davis in the context of a supportive group environment. Each participant will conclude the workshop with a completed project such as a book, portfolio, or planned exhibition. This workshop provides a platform for ongoing mentoring. Customized individual assignments will be given. After the initial intensive two-day in-person session, we will keep in touch with monthly private group online webinars and individual phone or email consultations. A final dinner to review work and celebrate our progress will be provided at the conclusion of the workshop. Who this workshop is for: Advanced amateur and semi-pro photographers who want to take their work to the next level, either as a means to make money, or simply for personal satisfaction. Suggested Reading and Curriculum: A reading list and curriculum will be provided to participants in advance of the workshop. There will be a pre-workshop assignment. Please add your name to the waiting list for the Achieving Your Potential As a Digital Photographer on Meetup. Next, email Harold no more than six low resolution JPEGs of your work. A link to an online portfolio can be substituted for the JPEGs. Include in your email a two or three sentence summary of what you would like to get out of the workshop. You can find Harold’s email address by clicking here. If you are accepted in the workshop, we will send you an invoice for payment so you can complete enrollment. Note that payment plan in three installments is possible if that works better for you (see below, please let us know if you would like this option). Questions? Please feel free to contact us, and we’ll do our best to help! Where: The in-person sessions will be hosted in the San Francisco Bay area. The monthly online webinar meetings will be scheduled as best suits the group, with individual phone conferences scheduled at the convenience of Harold and the participant. What is included: An initial two-day intensive in-person workshop, six monthly private online group webinars, individual telephone or email consultations with Harold, and a final celebratory dinner in a private room at a Bay area restaurant. Cost: Tuition is $1,245.00 per person. A three installment payment plan is available ($445 on acceptance, $400 January 1, 2014, and $400 March 1, 2014). Workshop is limited to a maximum of 12 participants. The final dinner is included in the cost. About Harold Davis: Harold Davis is a well-known digital artist and award-winning professional photographer. He is the author of many photography books. His most recent titles are The Way of the Digital Photographer (Peachpit) and Monochromatic HDR Photography (Focal Press). In addition to his activity as a bestselling book author, Harold is a featured columnist for Photo.net. He has been acknowledged as a Moab Master printmaker and is known as a Master Printer. His limited edition artist book Botanique was featured most recently in Fine Art Printing, the only magazine devoted exclusively to fine art photographic printmaking. Harold’s work is widely collected, licensed by art publishers, and has appeared in numerous magazines and other publications. 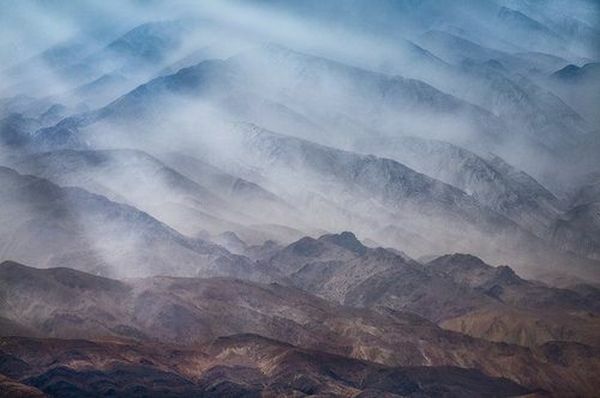 Harold’s technique and destination photography workshops to such diverse locations as Paris, France; Heidelberg, Germany; and the ancient Bristlecone Pines of the eastern Sierra Nevada are widely popular and usually sell out quickly. More information: Botanique; Harold Davis website; Harold Davis blog; books; workshops. Overview: Frustrated by Photoshop, and mystified by how to integrate Photoshop into your workflow? This workshop is for you. Learn to live and love Photoshop under the tutelage of Harold Davis, an acknowledged Photoshop guru and the author of The Photoshop Darkroom. Click here for information and online registration for the Mastering Creative Photoshop workshop. What: This workshop covers developing a personal digital Photoshop workflow. Topics explained in detail include archiving and checkpoints, RAW processing, multi-RAW processing, HDR, hand-HDR, stacking, LAB color creative effects, monochromatic conversions, using backgrounds and textures, layers, layers masks, working with channels, Photoshop filters, and plugins from Nik Software, onOne Software, and Topaz. Suggested Reading: You may want to take a look at Harold’s The Way of the Digital Photographer (published by Peachpit Press) before attending this workshop. Where: The workshop is hosted in Berkeley, California, in a convenient location near the upscale Fourth Street shopping district and close to the University Avenue exit from I80. Due to many requests I have added a new session of the Photographing Flowers for Transparency workshop, Saturday, February 22—Sunday, February 23, 2014. Click here for information and online registration for the February Photographing Flowers for Transparency workshop. Synopsis: In this unique workshop offering master photographer Harold Davis shows the techniques he uses to create his floral masterpieces. Arrangement, composition, photography, post-production will all be covered, as will Harold’s special techniques for shooting on a lightbox. Master photographer Harold Davis is well-known for his often imitated—but seldom equaled—digital images of luscious transparent and transulent flowers. The workshop is intended for photographers of all levels with an interest in flower photography. Tuition: The cost of the workshop is $695 per person. Workshop limited to 16 participants. Click here for information and online registration for the February Photographing Flowers for Transparency workshop. What day is it today? For many of us it is “Fly Day”—no matter what the calendar says. And while flying, what better way to while away the time than to photograph the airplane wing with my iPhone, then play with the results (this iPhone image was processed using the Plastic Bullet, Lo Mob, Filterstorm and Snapseed apps). Focal Press, a leading publisher of media technology books, announced today the availability of Monochromatic HDR Photography by Harold Davis, an award-winning photographer and best-selling author of more than 30 books. In this beautifully illustrated guide for all levels from advanced amateur to professional, Davis shows photographers how to work at the intersection of two hot trends of the digital revolution: Black & White and High Dynamic Range (HDR) imaging. Click here to read the full press release on Business Wire, and here for Monochromatic HDR Photography on Amazon. The December Photographing Flowers for Transparency: Two Day Workshop with Harold Davis is full, but due to many requests I have added a second session, February 22-23, 2014. Click here for information and online registration for the February Photographing Flowers for Transparency workshop. Brief workshop description: In this unique workshop offering master photographer Harold Davis shows the techniques he uses to create his floral masterpieces. Arrangement, composition, photography, post-production will all be covered, as will Harold’s special techniques for shooting on a lightbox. Mastering Creative Photoshop: The Way of the Digital Photographer—This workshop covers developing a personal digital Photoshop workflow. Topics explained in detail include archiving and checkpoints, RAW processing, multi-RAW processing, HDR, hand-HDR, stacking, LAB color creative effects, monochromatic conversions, using backgrounds and textures, layers, layers masks, working with channels, Photoshop filters, and plugins from Nik Software, onOne Software, and Topaz—In Berkeley, CA, the weekend of January 25-26, 2014; click here for info and to register. I get many people asking me about developing a personal workflow, and also about my Photoshop techniques—this workshop is the forum for mastering both issues successfully. Achieving Your Potential As a Digital Photographer: A Multi-Modal Ongoing Six Month Workshop–This workshop provides a platform for ongoing mentoring in the context of a supportive group environment. Customized individual assignments will be given. After the initial intensive two-day in-person session, we will keep in touch with monthly private group online webinars and individual phone or email consultations. A final dinner to review work and celebrate our progress will be provided at the conclusion of the workshop. Limited to 12 photographers. A portfolio review is required—starting the weekend of March 15-16, 2014, and ongoing; click here for info and instructions on how to apply. Full Moon Workshop: Photograph the Golden Gate Bridge Like You Never Have Before: hands-on adventure with Harold Davis (April 15, 2014; click here for information and registration). 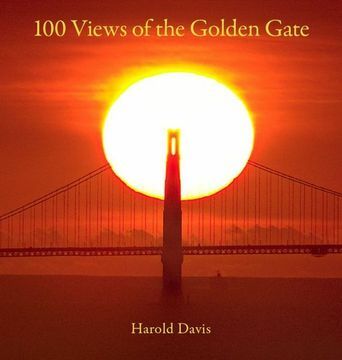 Join master photographer Harold Davis for an late afternoon and evening adventure, photographing the Golden Gate Bridge from various locations around the bridge. Many of the 2013 Paris photographers have “re-enlisted” for the 2014 workshop, which should tell you something about the quality of the offering. Photograph Paris with Harold Davis features nine days of Paris during the day and at night. April 26 – May 5, 2014: Click here for detailed information and itinerary, and click here for online registration. There’s only one Paris, the City of Light. Explore Paris photographically with a wonderful group of compatible photographers, under the guidance of renowned photographer Harold Davis. Highlights of the nine-day Photograph Paris with Harold Davis Workshop include a number of excursions, including exclusive after-hours access to Monet’s famous garden at Giverny. We’ll stay in a luxury, left-bank hotel focus our lenses on Paris in bloom, Paris at night, and Paris in black & white. Come with us to Paris in 2014—and we’ll always have Paris! We have only one copy of Botanique left in the $1200.00 price tier. Please contact my studio if you are interested in this last copy on a first come, first served basis. After it is gone, Botanique will be $1950.00. Pricing for the twenty-five hand-signed and numbered copies is arranged in tiers of five copies, with the initial price for the first five copies $500 (these and the copies at $750 are sold out) and ranging to over $2,000 for the final five copies in the edition. In my new article on Photo.net, Creatively Using Selective Focus in Photography and Photoshop, I start by explaining how to control focus using exposure settings in the camera. Next, I explain several techniques for adding selective focus effects in Photoshop, and how to use the FocalPoint Photoshop plugin for pinpoint selective focus control in post-production. About the image: Standing precariously high above the valley on the verge of this Littleton, Colorado trestle bridge, I focused my Zeiss Distagon 15mm f/2.8 tightly on the foreground. Using a fairly wide-open aperture (f/4.5) put the background of the hills very slightly our of focus, despite the naturally high depth-of-field of this extreme wide angle lens. In post-production I added a little extra motion blur to the trees, to further visually distinguish them from the bridge. To get a shot like this of waterdrops means getting wet, particularly when it is raining. And raining it was in Hudson Gardens in Littleton, Colorado where I was taping an online course in flower photography for an up-and-coming powerhouse in photographic education, Craftsy. If you are interested in learning how to make images like this one, please check out my book Photographing Waterdrops: Exploring Macro Worlds with Harold Davis, or wait for the course—which will be online in October. Pattie Logan, the producer of my flower photography course, is holding an umbrella over my head and camera as I photograph this waterdrop, below left. The Craftsy production crew is shown sheltering from the intermittent rain under umbrellas and a portable tent between takes (below right) with the flowers and waterdrop I photographed in the foreground. Both iPhone shots by Adam Speas, part of the production team. Flowers of Late Summer was shot on a lightbox using my Zeiss 35mm f/1.4 lens and the full-frame Nikon D800. Layering the 36MP RAW captures brought my computer down to a crawl begging for mercy (EXIF and processing info below). Upgrade one piece of hardware and, alas, the logic of workflow implies that other upgrades will follow! Exposure data: 35mm, six exposures at shutter speeds from 10 seconds to 1/10 of a second, all exposures at f/13 and ISO 100, tripod mounted; exposures combined using Nik HDR Efex Pro and hand-HDR in Adobe Camera RAW and Photoshop; this version added to a scanned paper background and lightly texturized. Please note that I will be on assignment next week in Colorado, so don’t expect to hear too much from me! Click here for a good starting place to learn more about my techniques for creating floral images that seem partially transparent. I’m giving a workshop that will cover Photographing Flowers for Transparency in December, 2013 it is sold out, but I may add a second section (add your name to the Waiting List and/or send me an email if you’d be interested). I’ll also be giving a workshop in Heidelberg, Germany in June, 2014 that will cover this technique as well as other kinds of flower photography (more info will be posted on my Workshops page as it is available). Please also consider joining my email list if you are interested in keeping up with what I am doing! I am pleased to announce a new Harold Davis poster from Editions Limited. It is called Vibrance, measures 24″ X 36″, and is shown below. I have two prints in the exhibition Timeless: The White Mountains at Photo Fine Art Photography, a gallery in Oakland, CA. If you are in the Bay area, please consider joining me for the opening reception on Saturday, September 7, 2013 from 2-4 PM (click here for more info). Phyllis and I are very excited to have a new corporate sponsor for my photography. I am not allowed to tell you more about this until it is formally announced, but we are extremely pleased and excited. On the book front, we are very pleased with the reception for The Way of the Digital Photographer, and excited to get an advance copy of Monchromatic HDR Photography. This is a unique and beautiful book that also provides a practical workflow for photographers seriously interested in extending the tonal range of their digital black and white. The formal publication date is in October, but you can pre-order it via Amazon. In the course of this autumn I will be visiting Denver to produce an online course, Carmel and Big Sur for a workshop, Paris, New York, and Japan—where I plan to spend the most time in Kyoto and walking the old Kumano kodo trail—in all case for a combination of business, photography and pleasure. We are very pleased with the sales of my Botanique handmade artist book. It has been written up in Fine Art Printer, a leading magazine about the art and craft of fine photographic printing (click here for more info). There is only one copy left in the $1,200 price tier, after that is gone the price will be $1,900. Please contact the studio if you are interested this “luscious edition that oozes flower sensuousness” (as one collector put it). Orders are on a first come, first served basis; click here for more information about Botanique. Numbers 4-6 of my Monochromatic Visions portfolio are available for $1,200. Please contact the studio if you are interested; click here for more information about Monochromatic Visions. Advance copies (numbers 1-3) of the iPhonographie de Paris portfolio are available for the special price of $390. Please contact the studio if you’d like a copy; click here for more information about iPhonographie de Paris. Speaking of “one left” (we were, weren’t we! 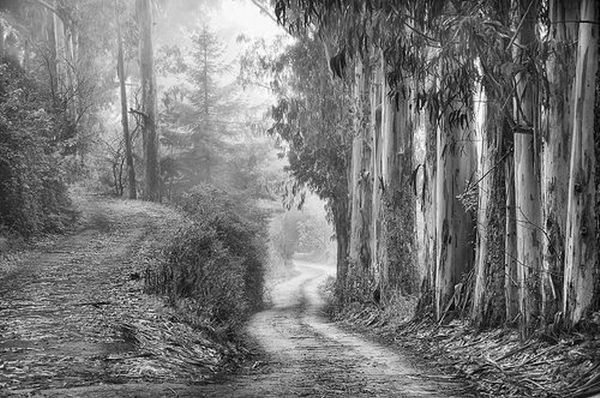 ), there is one spot remaining in the Monochromatic HDR Photography in the Big Sur landscape workshop,sponsored by the Center for Photographic Art in Carmel, CA, click here for info, curriculum and registration. The workshop is Friday, September 27 – Sunday, September 29, 2013. This won’t last long! There are only a few spaces remaining in the Waves workshop on Saturday November 23, 2013, conducted in the classroom and field at Point Reyes National Seashore, click here for online registration. The Photographing Flowers for Transparency: Two Day Workshop with Harold Davis is a unique opportunity to learn my techniques for photographing and processing flowers for transparency. Alas, the workshop is full, but a waiting list is available. If there is enough interest, we might consider opening a second session. Mastering Creative Photoshop: The Way of the Digital Photographer—This workshop covers developing a personal digital Photoshop workflow. Topics explained in detail include archiving and checkpoints, RAW processing, multi-RAW processing, HDR, hand-HDR, stacking, LAB color creative effects, monochromatic conversions, using backgrounds and textures, layers, layers masks, working with channels, Photoshop filters, and plugins from Nik Software, onOne Software, and Topaz—In Berkeley, CA, the weekend of January 25-26, 2014; click here for info and to register. Full Moon Workshop: Photograph the Golden Gate Bridge Like You Never Have Before: hands-on adventure with Harold Davis (April 15, 2014; click here for information and registration). Photograph Paris with Harold Davis featuring Paris at night, the gardens at Giverny, black & white, and more. April 26 – May 5, 2014; Click here for detailed information and itinerary, and click here for online registration. Creative Flower Photography, June 27-30, 2014, Heidelberg, Germany. I don’t have a registration link for this workshop yet, which is being sponsored by a German publisher, but if you are interested please drop me an email, and I can let you know when registration is available. Creative Black & White Photography and Monochromatic HDR, July 4-7, 2014, Heidelberg, Germany. I don’t have a registration link for this workshop yet, which is being sponsored by a German publisher, but if you are interested please drop me an email, and I can let you know when registration is available. Photograph Barcelona with Harold Davis featuring Gaudi, night photography, the Cemetery of Forgotten Books, black & white, tapas, and more. October 19 -26, 2014; click here for detailed information and itinerary, and click here for online registration ($500 early-bird discount applies before January 1, 2014). I have two prints in the exhibition Timeless: The White Mountains at Photo Fine Art Photography in Oakland, CA (one is of the Distant Night Storm image shown below). The exhibition runs from September 5 – October 12, 2013. If you are in the Bay area, please consider joining me for the opening reception on Saturday, September 7 from 2-4 PM (click here for directions to the gallery and more info).